Arizona USA Kingman Turquoise Round Designer Bead Strands for all your Jewelry Creations. Gorgeous Blue Turquoise Stock as well as a unique Blue Green Mix for your one of a kind design. 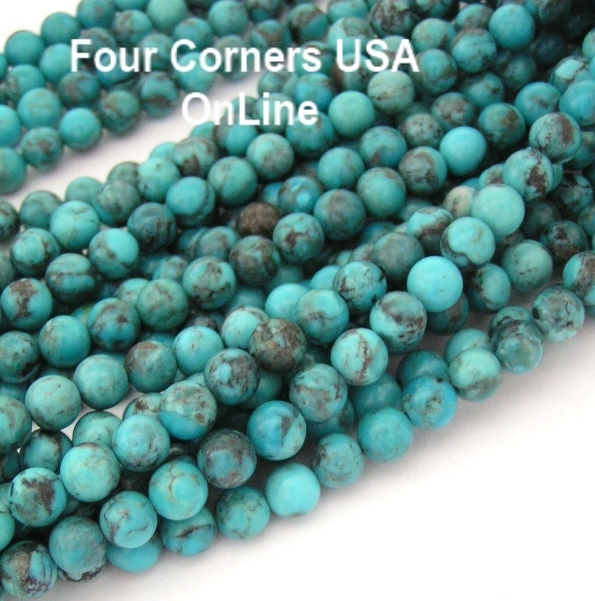 Our American Kingman Turquoise bead strands are all natural color, natural cut stone and stabilized for durability (an acceptable and necessary process for enhancing the hardness of Turquoise for Jewelry Making), mined and processed here in the United States.